Blue smoke coming out of the exhaust all the time when driving. Blue smoke upon accelerating after driving a long descent of one or more kilometers. Compression test shows different readings between adjacent cylinders, in particular a lower reading on one cylinder. 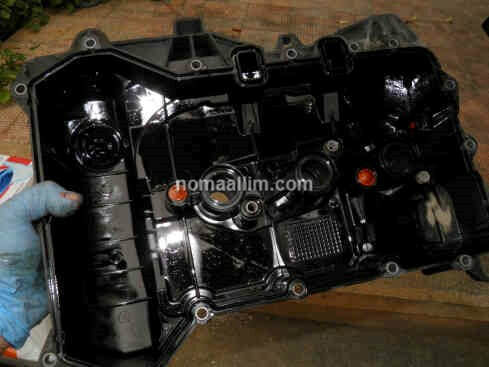 Traces of oil leaking out of the air intake tubes, manifold, etc. Not possible to isolate the cause. Do more tests. Worn piston rings especially when you see a cloud of smoke building up behind your vehicle. Broken valve seats seals (most likely) or worn valve seats (for engines with higher mileage) or both. Damaged cylinder head gasket. This can result however from the valves gap if the engine has no hydraulic valve lifters. 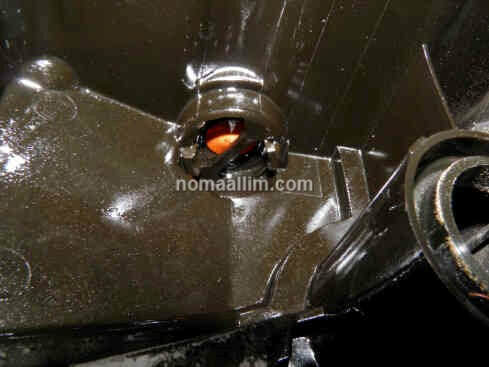 PCV valve stuck open, defective oil / vapor separators (oil trap) or broken turbo seal or a combination of these. 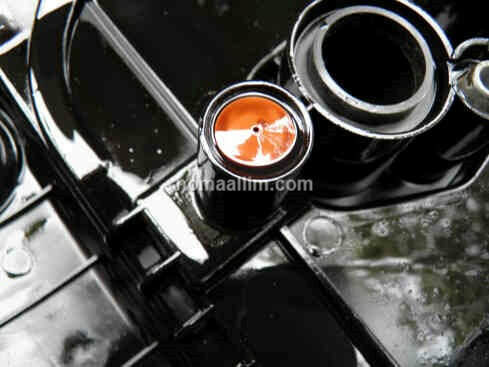 Carbon buildup on pistons as shown in this endoscope introduced into the spark plug hole is typical to oil entering the combustion chamber from the piston rings or the head gasket. If you're not sure, simply introduce a screwdriver in the spark plug hole and gently scratch the black deposit. Check for the mark with the endoscope. Some cylinder head covers do have a built-in oil vapor recirculation system. Silicone diaphragms (in bright orange) act as oil / vapor separators. There is no serviceable or replaceable PCV valve. ​The fix consists of replacing the whole cover if found defective.